In our line of work (baby equipment rental) we’re always on the look out for great travel products. We test many, but very few make the final selection! We’re like the X-Factor of baby equipment. A travel buggy is a slightly different beast to your everyday buggy. Weirdly there are very few everyday buggies that make good travel buggies. Generally speaking the everyday buggy is too heavy and bulky for travel. When it comes to travel buggies, key features we look for are; that it’s light, so you can easily carry it when your independent little person wants to walk. (Extra points for features like padded shoulder straps and carry handles). It must have a full recline. Absolutely non-negotiable is that it’s compact; so compact that it can fit in overhead lockers, and can easily pack into a car boot full of suitcases. Easy-to-fold is another absolute essential, one handed preferably. It also has to collapse in one piece; no faffing around removing seats from chassis, nor risking of one half not arriving at the destination. Raincovers and sunshades are compulsory. Being compatible with a car seat is a bonus, as is a travel bag. So without further ado, these are all buggies we have used… and still like! Literally made for travel! Very compact and lightweight, but also sturdy. This little gem fits in the overhead lockers so you can potentially bring it on board. Part of the chassis frame doubles as a handle to carry it, and there’s also a padded shoulder strap. This design has been copied by all the major brands, but Yoyo are the originals! We at Stork Exchange absolutely love it! There are two negatives against it however, it cannot be folded with one hand and it’s expensive. 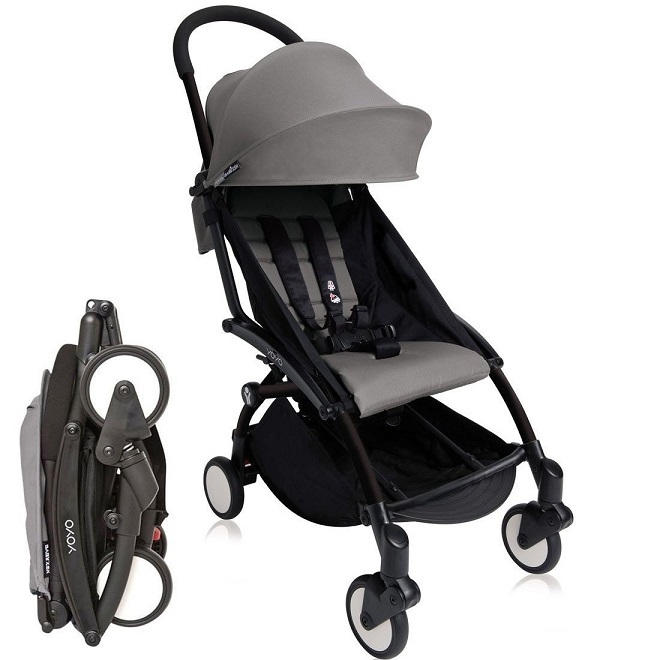 Ickle Bubba’s Globe Ultra Compact Travel Stroller. A bit of a mouthful, but we are really impressed with this as a travel stroller. Well priced, it has all the exact same features as the Yoyo. (It is so similar someone should be crying copycat all the way to the patent’s office). It comes with a raincover (for holidays in Ireland) and the extendable hood has SPF50 (for holidays everywhere else!). Mountain Buggy’s Freerider… a stroke of genius! 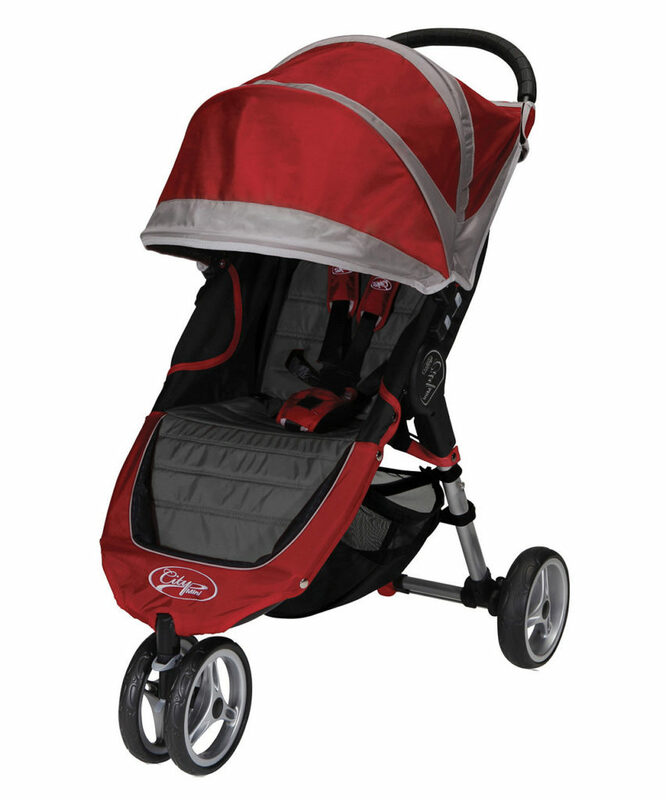 Another really great buggy that ticks all the boxes for a travel buggy. Lightweight, compact, easy to fold. The only negative is the addition of a cocoon to be suitable from birth, which goes against my ‘fold-in-one-piece’ rule. It’s outstanding feature however, is the buggyboard accessory. Called a ‘freerider’ it’s essentially a buggyboard that converts into a scooter… genius for so many reasons. 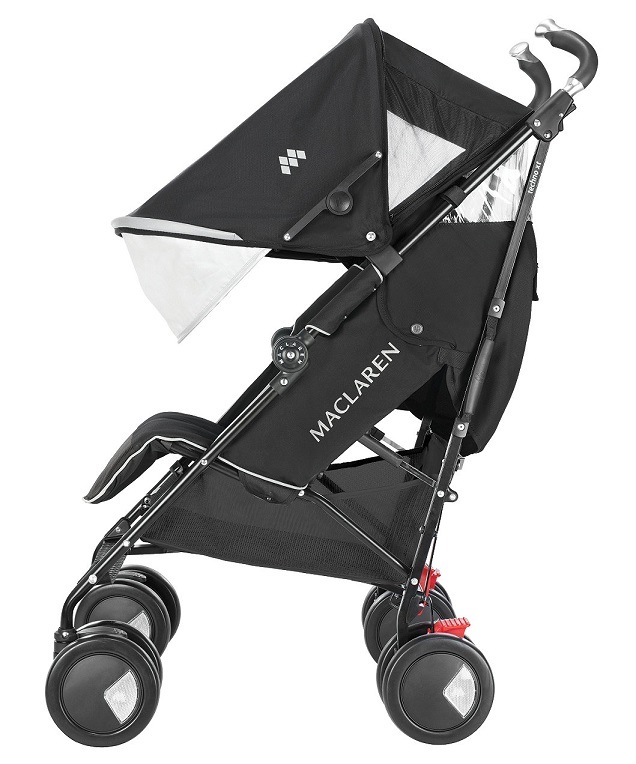 The travel buggy has come a long way (pardon the pun) since the days of umbrella strollers being your only option. Thankfully so, I don’t like “umbrella strollers” in general and rarely consider them for our business. They are cheap, ‘throw away’ buggies that litter airport baggage halls. I mean cheap in the sense that they feel cheap; they are not sturdy, making them a pain to push and a bumpy ride for the passenger. The only exception to this is the MacLaren Techno XT. A Ford Focus to the Yoyo’s Jaguar! Not that pretty, but this stroller makes up for it’s plain Jane appearance by providing a stable and well engineered ride. We used this to operate a trial at Dublin Airport for courtesy strollers, they are that solid! 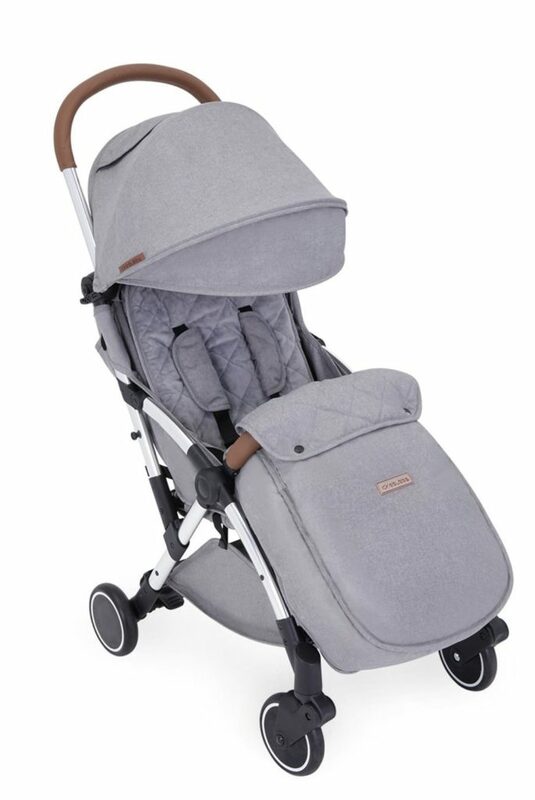 Okay, I know… technically not a travel buggy at all, but a firm favorite of ours in Stork Exchange. This is an example of that rare beast; an everyday buggy that works well as a travel buggy. It is just so nippy, and easy to manoever, never mind the best fold of any buggy. You could literally collapse that buggy with one hand, your eyes closed and your toddler squirming on your hip! It doesn’t have the same compact cabin bag shape when folded, but instead is very square and flat. So handy for car boots but it unfortunately would have to go in the aircraft hold. It’s only flaw in my book. You’ve got the buggy, now follow our advice on what to do if the airline still manages to break your buggy.